Thursday 20th November 2014, the Grosvenor House Hotel, Park Lane, London, 11.30am to 3.30pm – Download the AGENDA. FREE to attend, REGISTER HERE. With an ever growing compensation culture, product liability insurance can be extortionate, particularly for baby products entering the US. However, as one of the world’s biggest and most lucrative markets, UK companies should not be deterred from selling to this continent. Elaine Lamb, senior account executive of La Playa International Insurance Broker will be attending the BPA’s Exporting Conference in central London on Thursday 20th November to explain the ins and outs of product liability in the US and how to get over the hurdles faced. Ashley Benjamin and Jennifer Brown of Dehns Patent and Trade Mark Attorneys will be presenting on key Intellectual Property (IP) issues for companies operating internationally. They will look at the different types of IP protection available, the value of protecting IP assets and the risks of infringing other parties’ IP rights. Athena Gong from CMBE Shanghai will be explaining the enormity of the Chinese baby products market and, with new parents coveting British brands for their babies, how UK companies can grab a slice of the market. Backing this up, Dr Jim Shaikh of Yoomi, one of eight participants in the UK Pavilion at CBME Shanghai in July 2014 –which collectively returned from the show with orders in excess of £1.25m – will describe his company’s outstanding experience and explain why Yoomi will definitely be returning in 2015. 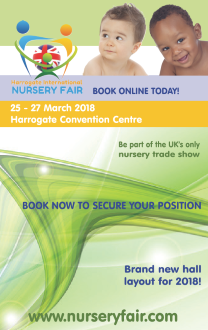 This conference is free to attend and is open to everyone in the nursery industry (not just members). 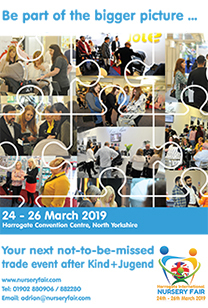 Attendees will be offered a light lunch, with soft drinks, tea and coffee, so for catering purposes, please pre-register HERE.